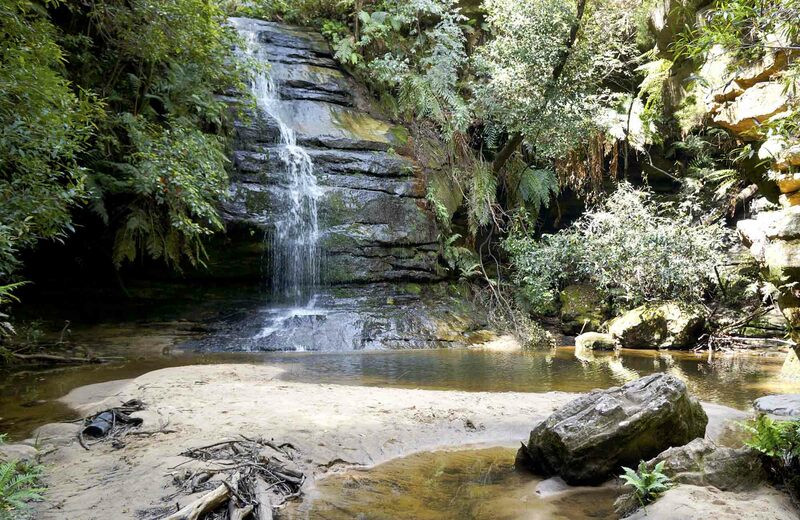 Lyrebird Dell walking track offers Aboriginal heritage, waterfalls, caves with birdwatching and picnicking, in Blue Mountains National Park near Leura. 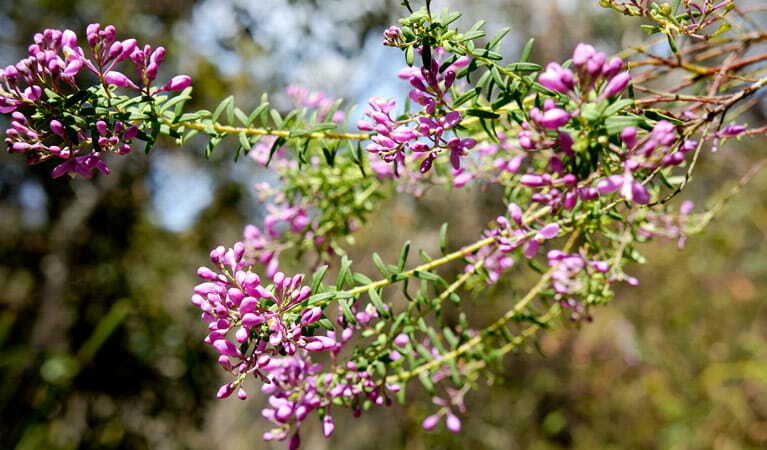 For a short walk that's bound to recharge the batteries and revive the spirit, delightful Lyrebird Dell walking track leads through spectacular gorge country to a unique cave site of Aboriginal significance. 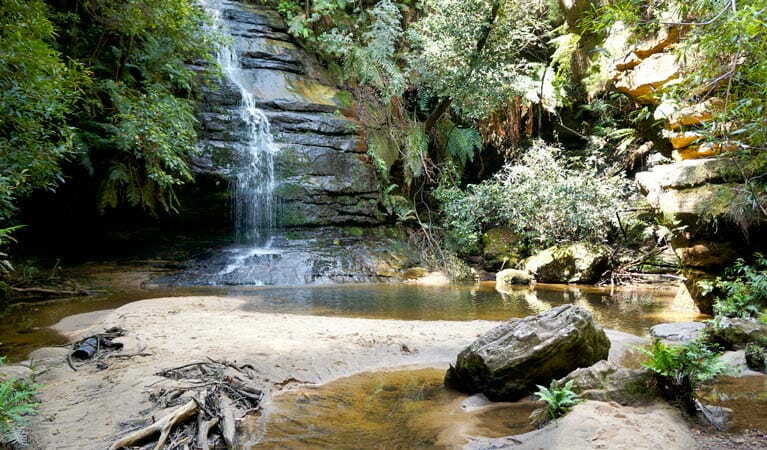 Popular with families and birdwatchers, this medium difficulty track starts at Gordon Falls picnic area, and explores the lush escarpment near Leura, in the Blue Mountains National Park. You'll descend a steep set of stairs into Gordon Creek, passing through a small fern filled canyon, dotted with hanging swamps, before you arrive at Pool of Siloam. Relax in the cool air and enjoy the sounds of the peaceful waterfall, before heading back up the track and turning right. 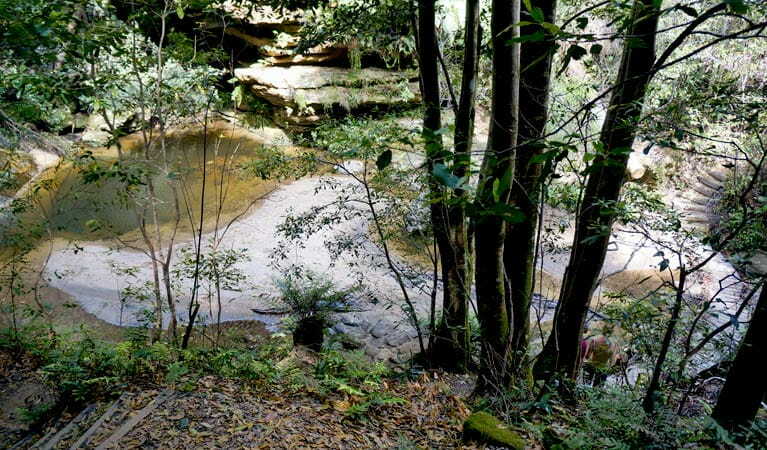 Follow this enchanting walk as it winds slowly up the creek to Lyrebird Dell, where you’ll discover a large sandstone cave that has a long association with the traditional Aboriginal land owners of the area. 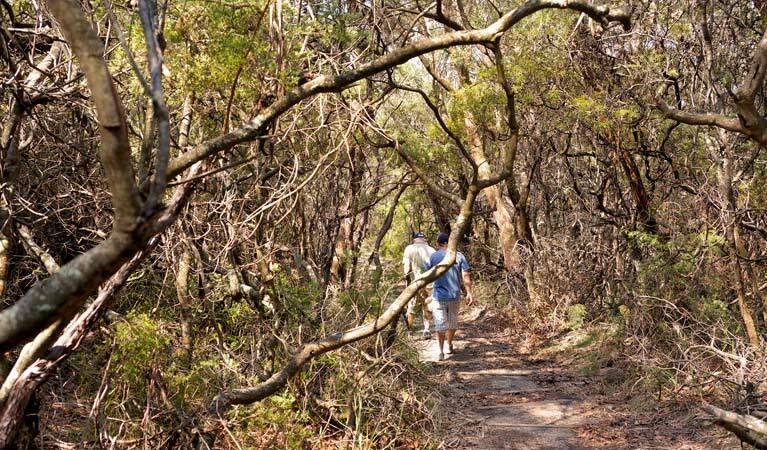 On a misty Autumn morning, you might glimpse silvereyes or mistelle toe birds flitting through the undergrowth. Lyrebirds are often seen scratching through the leaf litter.